A very fascinating urban legend is the concept of Deep Underground Bases and the Tunnels that connect them. A staple of conspiracy theorists and science fiction novels. Often derided as pure fantasy that could not possibly exist when mentioned in the context of secret government technology. The realm of “tin foil hats” and little green space men. Until it is no longer a fantasy. It seems Elon Musk has gotten at least verbal approval to build his Hyperloop Underground Supersonic Train system between N.Y. and D.C.. Possibly able to make the trip in 29 minutes or less. Basically a magnetic levitation train in a vacuum tube underground. Able to go incredible speeds and span the United States using underground tunnels and bases. Where have we heard this before? Possibly from your crazy uncle or a wide eyed host on a conspiracy podcast. Well they may not be so crazy anymore. Some technologies are not meant for public view or accreditation until the time is right. When these amazing scientific advances are brought forth it is done slowly and presented as cool and convenient. As with computers, cell phones and the internet among many other modern technologies. Always set in boring terms so the general public doesn’t notice. One rule applies. The military gets it first. Then some civilian corporation with close ties and funding from the U.S. government just happens to “pick up” the research. Military research and development that is many years old has a second market in the public sector. This may be the case with Deep Underground Base and Tunneling technology that has been rumored to exist for decades. These documented subjects are dismissed as theory until they are no longer theory. 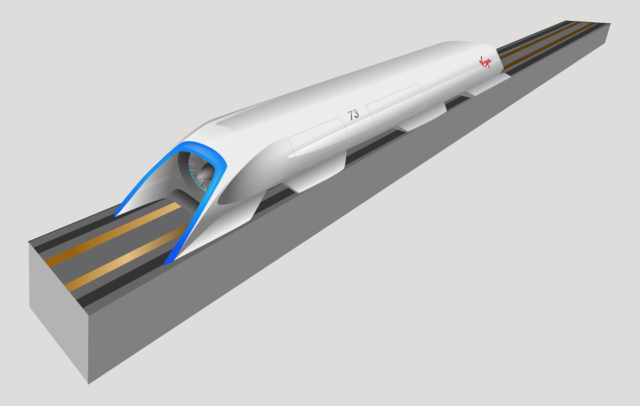 Now the idea of underground supersonic tunnel transit connecting cities is publicized in the form of Elon Musk’s HyperLoop concept. Being originally tested above ground. SpaceX is taking the idea subterranean. A prototype is currently being tested at Space X Headquarters. Musk himself leaving much room for speculation with nebulous Tweets about underground tunnels. Possibly even pitching it as an infrastructure project to the new U.S. Administration. Apparently getting verbal approval from the administration to build a system from N.Y. to D.C. that could complete a trip in 29 minutes. 3 Comments on Deep Underground Base and Tunneling Technology Used for Elon Musk’s HyperLoop System: It’s the Exact Same Rand Corporation Design from the 70s. Another fine piece ,literally digging deep into the facts on this report. Great info in this article but watch out for all those sentence fragments! Mainstream people should be taking these articles seriously and they’d probably pay more attention if you just cleaned up grammar and typos. Even still, good article and thank you for bringing attention to this stuff.